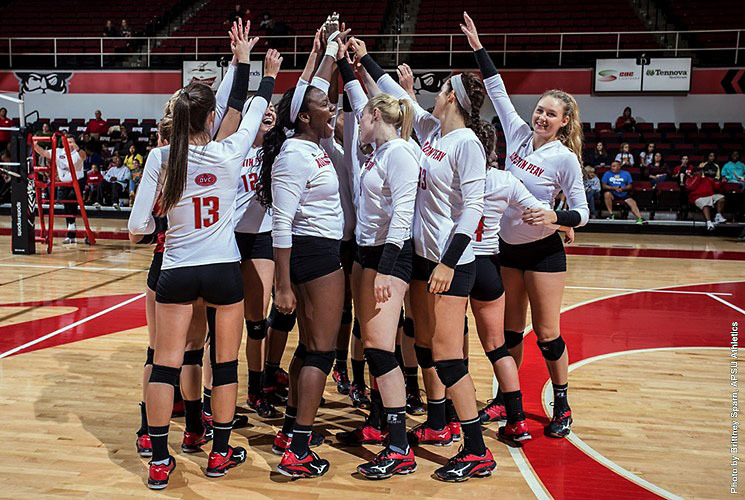 Last year’s 12.5 game improvement was also the second-best turnaround in a single season in the program’s history, trailing only the 2008 team that posted a 14-game upturn, while the 24 wins was the fourth-most by any APSU volleyball team. 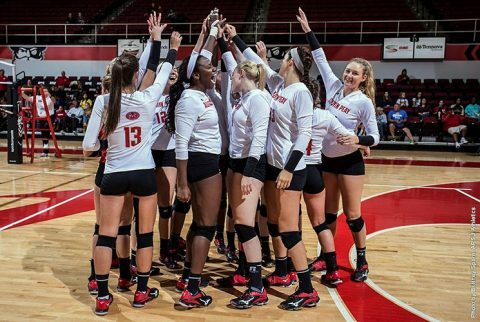 But while the 2016 campaign was the best season under coach Taylor Mott, who enters her sixth season at the helm of the program, the 2017 season could be even better with all but two of last year’s squad returning – only one starter (Sammie Ebright) – who finished third in the OVC regular-season standings and made it to the OVC Tournament semifinals before falling to tournament runner-up Southern Illinois Edwardsville. Among the returners are two First-Team All-OVC performers in senior middle blocker Ashley Slay and junior setter Kristen Stucker – who was also voted the conference’s Setter of the Year in 2016 after leading the conference in assists (1138), which was good for 10.54 per set. Stucker also earned All-OVC Tournament honors in 2016. Slay, who should be one of the favorites for pre-season OVC Player of the Year, finished fourth in the conference in kills (397) and points (487), while earning the fifth spot in hitting percentage (.297). Two others returning that were ranked in the conference statistical rankings were junior middle blocker Kaylee Taff finishing fourth in the OVC in hitting percentage (.299) and sophomore libero Ginny Gerig, who finished sixth in service aces (36) and eighth in digs (498). Three junior outside hitters return that posted major numbers in 2016 in Cecily Gable (242 kills), Christian White (219 kills) and Logan Carger (130 kills). Rounding out the returnees are senior libero Allie O’Reilly, junior defensive specialist Alexandria Thornton and sophomores MiMi Arrington (setter) and Jenna Panning (outside hitter). Joining the squad in 2017 will be sophomore outside hitter Haley Turner and freshmen Brooke Moore (outside hitter), Chloe Stitt (outside hitter/defensive specialist), Carolina Waite (setter) and Nina Korfhage (defensive specialist). While the Govs should be among favorites to make a deep run in the OVC Tournament in November, they will be tested in their pre-conference schedule with matches versus Southeastern Conference members Mississippi and Missouri (at the Dunn Center), Atlantic Coast Conference member South Florida; and Western Kentucky who was ranked 20th in last year’s final coaches poll.